Thumbnails and titles are usually the first thing viewers see when browsing on YouTube and an important piece of your video’s metadata. They work together as a team to build anticipation while accurately representing what’s in your video. Have your title and thumbnail work together to tell a compelling story. Ask your community for feedback on different examples of your potential thumbnail/title combinations. This clever combination of a solid yellow thumbnail and a (seemingly contradictory) title raises viewer interest to watch a science video about color. This thumbnail strategically hides faces, but its title teases an intriguing story about aging — the result is an urge to see the final reveal. 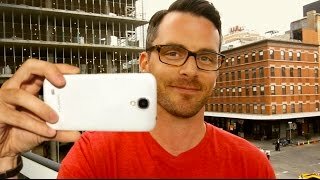 The title of this video works together with the thumbnail of the vlogger’s face and camera phone to communicate to viewers that this video is about vlogging. 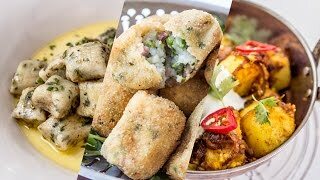 This thumbnail gives a sneak peek of the three potato recipes introduced in the title. It works well because, even without text on the thumbnail, viewers have an idea of the content. Thumbnails are usually the first thing viewers see when they find one of your videos, and 90% of the best-performing videos on YouTube have custom thumbnails. When you customize your thumbnails, be sure you’ve got a strong, vibrant image that looks great large and small, and conveys key information about your video. You can apply the “rule of thirds” to compose interesting and dynamic images, then overlay with your branding and/or descriptive text. If you add text, make sure to use a font that's easy to read onscreen. Also, think about how you can be eye-catching and age-appropriate for your audience. It’s a good idea to think about your thumbnail even before you shoot your video so that you’ve got several options when you upload. 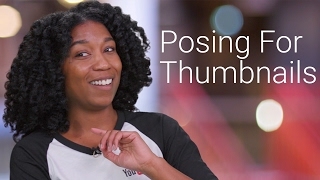 Remember, thumbnails show up in different sizes across YouTube and external sites that embed YouTube videos, so check that your thumbnail looks good on mobile and desktop. Think about your thumbnail BEFORE you shoot so you can capture several options. Make as high resolution of a thumbnail as possible but keep under the 2MB limit. Specs: 1280 x 720 pixels (16:9 ratio) as a .JPG, .GIF, .BMP, or .PNG. Zoom in and out of your thumbnail to see if it looks good small and large. Three successful creators share their experiences for attracting viewers with compelling thumbnails and titles showcasing their content. In this episode of The Creator Show, Matthew discusses how “top 10” list titles helped generate curiosity for what’s in his videos. Stephen from ReelSEO explains how to use the “rule of thirds” to frame images that draw in a viewer’s eye. Try to apply his advice in your next thumbnail. 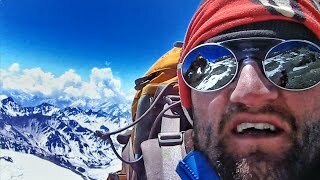 CaseyNeistat created a thumbnail that jumps off the page by combining the rule of thirds, bold color saturation, and close-up cropping. Well-written titles can be the difference between someone watching and sharing your video, or scrolling right past it — and it’s best to create titles that accurately represent what’s in the content. You can do this by sparking curiosity with a creative title or teasing what’s in the content. Keep titles concise (60 characters) with the most important information up front. Check that your titles don’t get cut-off in suggested videos, search results, and mobile. This super-clickable title resonates with IISuperwomanII’s community. The viewers who are most drawn to this title will probably be girls who enjoy getting ready to go out — or the people who wait for them to get ready. 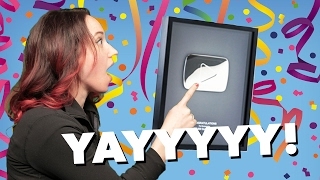 This playful thumbnail captures the excitement of a creator who is recognized for getting to 100,000 subscribers as she receives a shimmering Silver Creator Award. 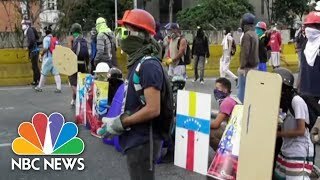 Even though this video has footage of a violent protest, the thumbnail avoids imagery that may turn off viewers. The title provides proper context that this is a news report of a fatal incident. This is a good example of titles for a series. It puts the most important information first and includes the show name and episode number toward the end. Misleading or clickbaity refers to thumbnails and titles that misrepresent the content of your video. Sensationalized refers to outrageous, offensive, or gross thumbnails and titles. This sort of stuff can turn away viewers and hurt your chances of being recommended to new viewers. If you want to grow a loyal, sustained audience on YouTube, your goal is to get viewers interested in your video, while avoiding misleading, clickbaity, or sensational thumbnails and titles. If your video has these things and doesn’t cross the line (see Community Guidelines), it still can live on YouTube. However, the video may be less likely to be recommended to new audiences, and it may rank lower in recommendations and other areas of YouTube. To maximize your potential reach, create thumbnails and titles that are appropriate for a wide audience. One simple rule is to always deliver what you promise, and avoid inserting words, symbols, or graphics that could deceive or turn away potential viewers. Custom thumbnails need to follow our Community Guidelines. Violations may result in your custom thumbnail being removed and a Community Guidelines strike. Learn more about thumbnail policies on YouTube. THESE FOODS WILL KILL YOU! YOU WON’T BELIEVE!!!! This is clickbaity because it tries to lure viewers with extreme exaggeration. The dead body in the thumbnail creates shock value, and the title seems to make deceptive claims. A better approach would be to use a thumbnail and title that illustrate the video content in a more positive and audience-friendly way. This is violent and repulsive. The thumbnail may catch some viewers’ attention, but it’s also likely to turn away others. The title plays up the violence for dramatic effect. If a video happens to contain violent imagery, such as an accidental injury, consider how the thumbnail and title can represent the content without being distasteful. This is gross and offensive. By referencing a superhero, the thumbnail and title target a young audience, but the content seems intended for mature viewers. Even for prank videos, carefully consider how the combination of thumbnail and title will look to potential viewers and whether it may be inappropriate. Advertisers can choose to target videos that contain particular terms and keywords in their titles, descriptions, or tags, in order to reach the audiences they value. This may influence which of your content you can monetize. Learn more about advertiser-friendly content. Advertisers can also opt-out of terms and keywords that don’t align to their brand. For example, videos that contain profane, controversial, or sexually suggestive terms (even if they are being used in a comedic, ironic, or otherwise non-offensive context) can result in some advertisers excluding your video from their campaigns. So consider the text you use in your titles. While thumbnails should accurately represent the content and be enticing to potential viewers, you may also want to think about whether brands would be comfortable showing up alongside more mature thumbnails. Thumbnails that are shocking, overly graphic, or sexually suggestive can also cause some advertisers to exclude that content from a particular campaign. Remember, while some videos don't violate our policies, they may not be appropriate for all audiences. YouTube removes ads from any content depicting family entertainment characters engaged in violent, offensive, or otherwise inappropriate behavior, even if done for comedic or satirical purposes. Make accurate titles, tags, and descriptions - Most importantly, metadata should accurately describe the content of your video. Words can be taken out of context - Advertisers will often opt out of certain words or phrases — consider how your titles, tags, and descriptions can be interpreted. YouTube Analytics can help you determine whether your thumbnails and titles match expectations by looking at what your viewers do once they start watching the video they selected. YouTube will recommend a video to viewers if the video is relevant and if viewers find the video interesting, as reflected by the video’s average view duration. Clickbait videos tend to have low average view duration and therefore are less likely to get recommended by YouTube. You can tell if your thumbnail is clickbait if it is getting high CTR but low average view duration and lower than expected Impressions. Learn more. You can also look at the Traffic Sources to check which keywords viewers are using to find your video. If an important keyword is missing, consider adding it to your title or description.